The 2017 Amazon map presents information on Protected Areas, Indigenous Territories and deforestation produced by RAISG. This publication is the fifth version of this map that we have published since 2009, with updated data on Protected Areas and Indigenous Territories – which together cover 45.4% of the region and have an important role in conservation and sustainable use of the Amazon ecosystem. 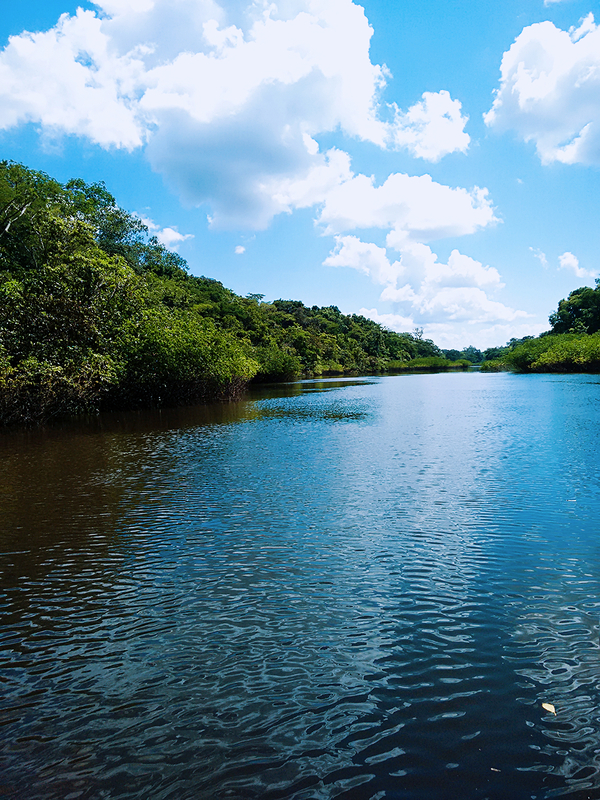 This product is the result of the joint and continuous work of civil society institutions present in the Amazonian countries, which seeks to systematize, improve and integrate their databases for a comprehensive vision of the Amazon. 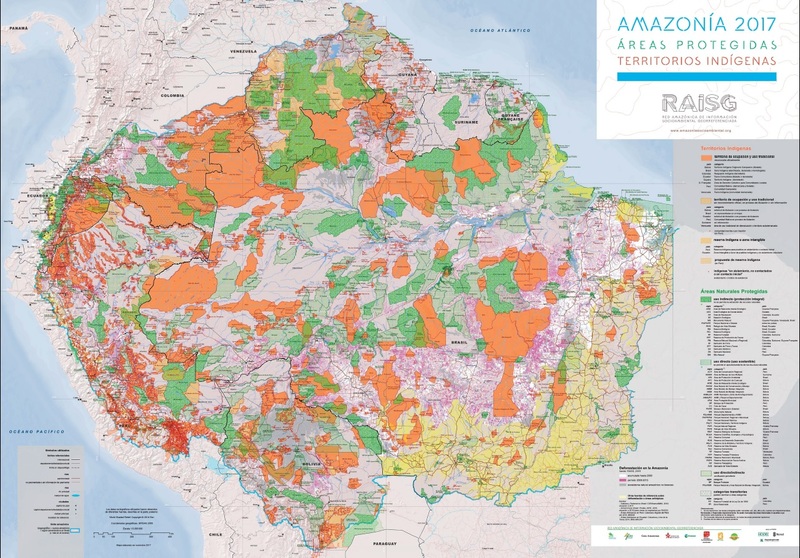 Regarding the previous versions, this map presents information for the Amazonian boundary, which includes, in addition to the Amazonian tropical forests, the administrative region of the Brazilian Amazon (legal Amazon) and the Amazon River basin.